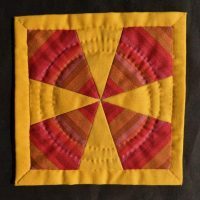 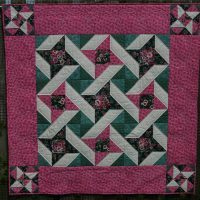 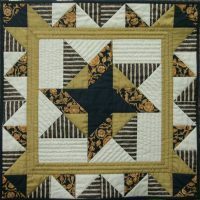 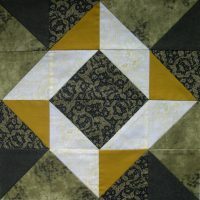 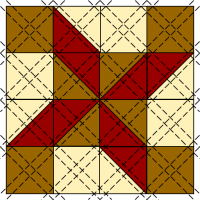 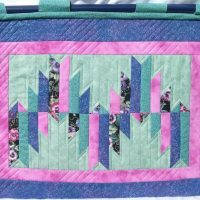 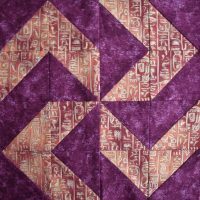 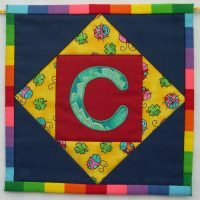 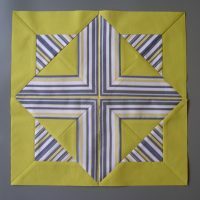 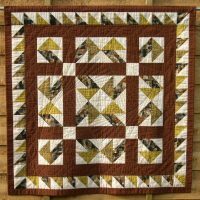 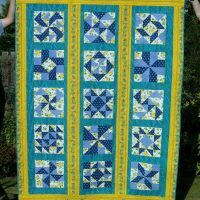 This pattern is suitable for those who are confident with basic patchwork techniques, and now want to do a project which will teach them new skills and techniques of a medium level of difficulty. 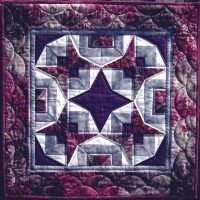 Carolyn’s patterns explain in detail how to obtain better results. 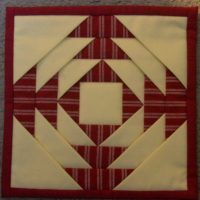 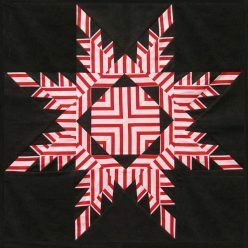 It is assumed that you can already use a rotary cutter, machine-stitch an accurate 1/4″ seam and follow a sequence of instructions.